For those of you who are well traveled, you’ve likely come to appreciate that different cultures have their own set of preferences. When it comes to coffee, that’s certainly no different! Europeans prefer their coffee short (typically from an espresso machine with more intensity). Meanwhile, North Americans enjoy their daily dose in larger, dripped formats. As for me, I prefer to start my day with lighter intensity and generally in a larger sized cup. But I do enjoy an dark roast espresso shot as an afternoon pick-me-up! Last Friday, I had the pleasure to join the Nespresso and Chef Ricardo at the Nespresso Cafe, on celebrating the launch of the #NespressoMorning campaign. 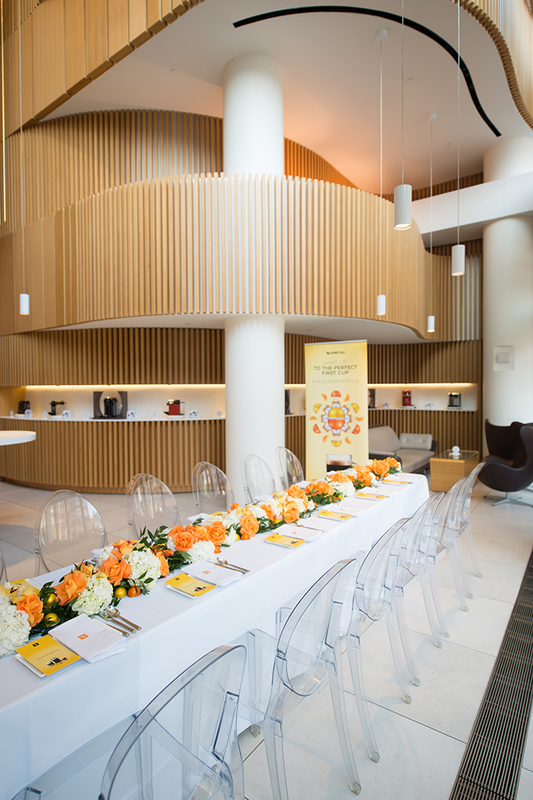 Over a delicious breakfast, we celebrated the release of Solelio (“rising sun” in Italian) and Giornio (“day” in Italian), the two newest addition to the VertuoLine Grands Crus range as breakfast blends. 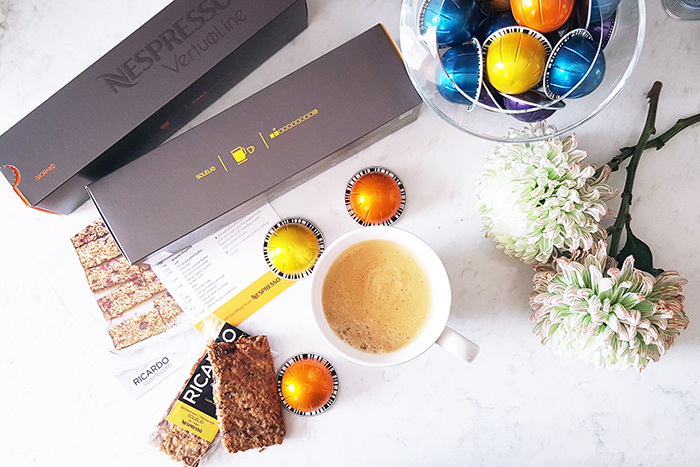 For us coffee lovers, we often associate the smell of coffee with waking up, and what better way then to wake up with the perfect first cup from Nespresso’s newest Grand Crus large-cup coffees that was designed with Canadians taste buds in mind! Read more to find out how you can sample a complimentary cup of your own! Chef Ricardo also shared some great insights and statistics on how we view breakfast and the habits that Canadians have around this very important meal. Torontonians are busy beings on the go, we prefer to spend less them preparing meals and more time enjoying them. 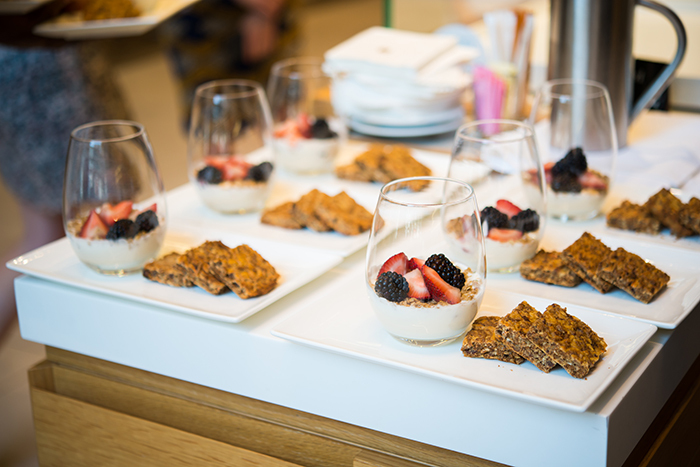 Chef Ricardo shared a couple of breakfast bar recipes that require minimal time to make and offers plenty of nutritional benefits. The apple and carrot bar bars great with a Solelio whereas, the Raspberry and Dark Chocolate bar is fabulous with Giornio which has a smooth but deeper intensity finish. See full recipes here. 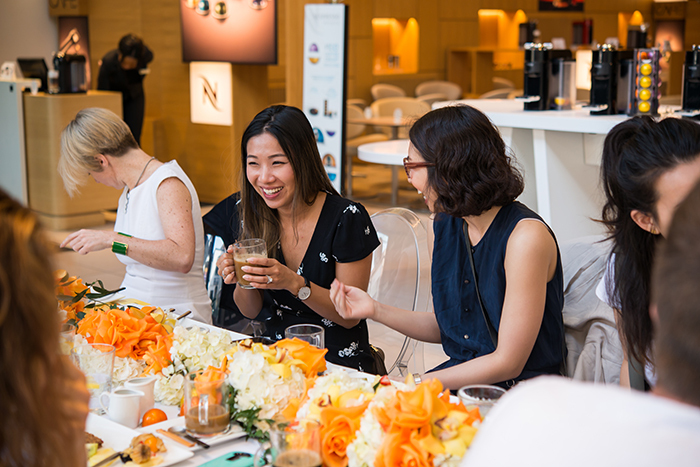 If you’re in for a treat, Nespresso will be giving out FREE coffee at RBC Wellington Square in Toronto (200 Bay Street) from May 30 – June 3. 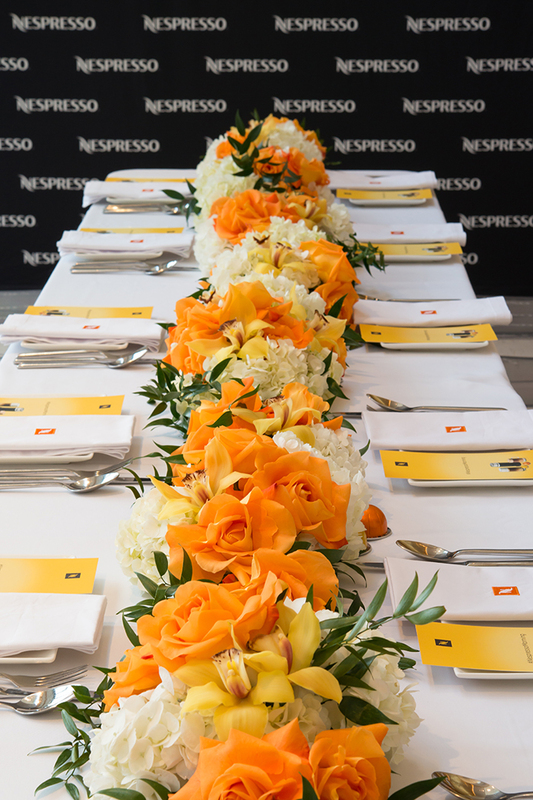 Make sure you stop the Nespresso Pop-Up and grab your cup to start your #NespressoMorning! Share your Breakfast Greeting for a chance to win prizes and more!